Commissioner Nancy C. Acevedo of Winter Springs was appointed to the Commission by Governor Rick Scott in 2017 and currently serves as a Board Member/Secretary. She is a former Chairman of the Commission. In 2015, Commissioner Acevedo retired as a Crime Analyst II for the Seminole County Sheriff’s Office/Domestic Security Division (SCSO). She was a certified Terrorist Liaison Officer. She is a graduate of the Seminole County Sheriff Community Law Enforcement Academy, a graduate of the University of Puerto Rico with a B.A. in Science and holds a Ph.D. in Education. She was awarded the “Eagle Lifetime Achievement Award“ by the Hispanic Women Chamber of Commerce for her lifetime dedication and contributions to the Hispanic community and In 2010, she was selected as one of the “Most Influential Hispanic Women“ in Central Florida by the National Hispanic Achievers in Florida. She is the former President of the Florida Crime Intelligence Analyst Association (FCIAA), a past member of the International Association of Crime Analysts (IACA) and the International Association of Law Enforcement Intelligence Analysts (IALEIA). In 2015, Commissioner Acevedo was nominated to receive the Florida Law Enforcement Property Recovery Unit’s Crime Analyst of the Year Award. Acevedo is a recipient of multiple awards for her role as Crime Analyst and her dedication and hard work in the community. Commissioner Acevedo currently serves as a Senior Credentialed Law Enforcement chaplain with the International Conference of Police Chaplains (ICPC), the Longwood Police Department, and the Seminole County Sheriff Office Chaplain’s Corp. (SCSO) She also serves as Secretary/Treasurer of the Seminole County Sheriff Chaplain Corp. 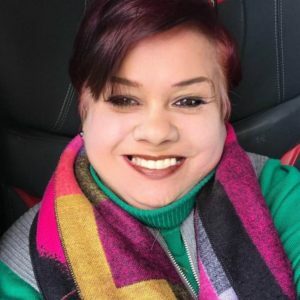 In 2018 Commissioner Nancy C. Acevedo was appointed to the Florida Faith Based and Community Based Council by Governor Rick Scott and also In 2018, she became the Community Relations Coordinator for the Office of the Sheriff In Seminole County.